Patrick and his family recently visited a school in Africa. Education and the children of Africa were very near to Patrick’s heart, so in lieu of flowers, it would honor Patrick to help build a secondary school for these students. CLIFFORD KIRKPATRICK STEELE III (Patrick), 42, died suddenly on October 11, 2017, while in the hospital for pain treatment. Born August 14, 1975 in Ft. Lauderdale, Florida, Patrick was a true Californian who loved the outdoors, especially surfing. He graduated from Trabuco Hills High School in Mission Viejo in 1993, then completed his education at Westmont College in 1997. In his last college semester Patrick suffered a traumatic spinal cord injury, rendering him a quadriplegic. The remaining twenty years of his life were filled with adversity but also much joy: he married his college sweetheart, Carrie Hicks, in 2001 and they welcomed son Jack in 2007. Patrick was devoted to his family and sustained by his faith in Christ. He persevered to the end and will be deeply missed by all who loved him. In addition to his wife and son, Patrick is survived by parents Kirk and Bonnie Steele, his sister Lisa Johnson (Steve, Lisa’s husband), and a host of nieces and nephews. A memorial service will be held December 9 at 11:00 am, Presbyterian Church of the Master, 26051 Marguerite Parkway, Mission Viejo. 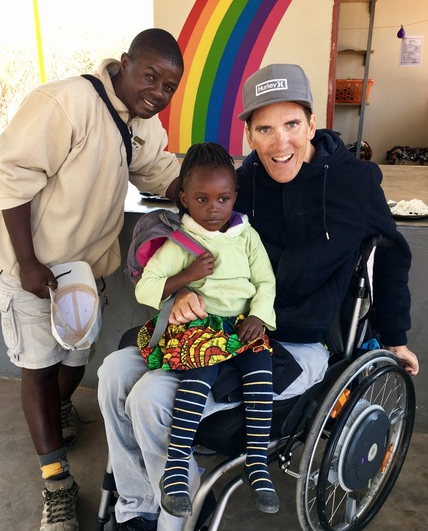 Memorial donations may be sent payable to the church in Patrick’s name to build a secondary school in Zambia where Patrick recently visited. Be sure to put “Patrick Steele Memorial” in memo field. 2. Fill out info and select “Patrick Steele Memorial Fund” from dropdown. To learn more about the Tukongote Community School school, click here. Thank you for your love and support of Patrick and our family.